George Zimmerman banned from Tinder dating app	George Zimmerman banned from Tinder dating app Tinder cited users safety as a reason for removing George Zimmerman's profile. A new YouTube video posted by OK Go is burning up the Internet. At the time of this writing, their latest music video has been viewed more than 1 million times. The group is known for their creative videos usually shot in one take. ABC News anchor and correspondent Dan Harris appeared on Thursday night's edition of "The Colbert Report" on Comedy Central. Harris' interview with Stephen Colbert focused on his New York Times bestselling book titled, "10% Happier: How I Tamed The Voice In My Head, Reduced Stress Without Losing My Edge, and Found Self-Help That Actually Works -- A True Story"
Video Courtesy of: "The Colbert Report"
Dan Harris had the chance to coach Colbert on meditation techniques. It's not often you get anything FREE these days when you travel by air, but these group of travelers sure did! 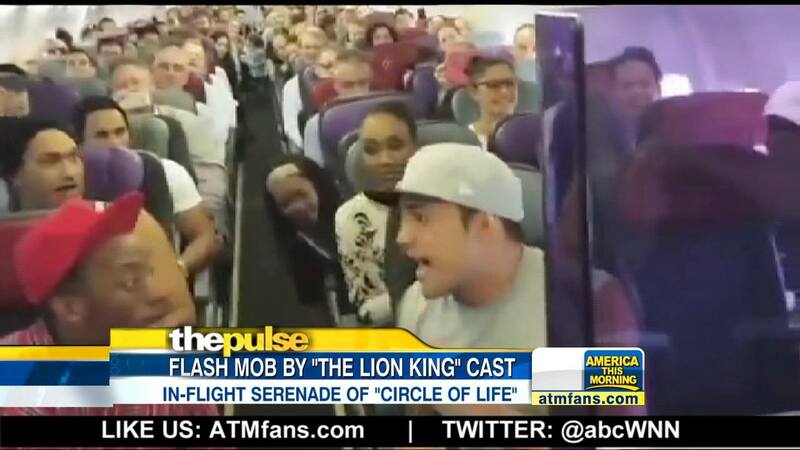 The Australian cast members of "The Lion King" musical serenaded a cabin full of passengers while waiting for liftoff. Their song of choice: the iconic "Circle of Life" from Disney's hit animated movie. Here's some aggressive driving in Florida that's getting a lot of attention online! 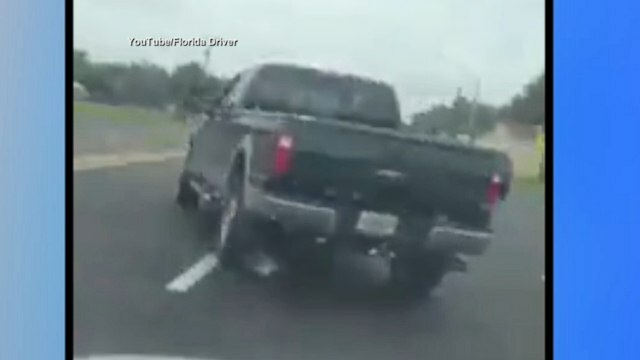 A woman was recording as a man in a pickup truck was tailgating her. He pulled up to pass her, shot off "the bird," and then he cuts her off. Moments later, the man loses control of his pickup truck and smashes through the road median and ends up in a grassy ditch. You can hear the woman, who filmed the three minute ordeal on her iPhone, say out her window: "That's what you get; It's all on camera buddy!" Let's set the scene: the category is thing. There are three words with a total of 12 letters. 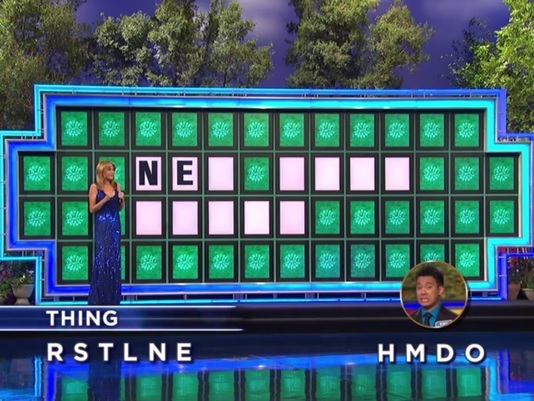 Could you solve this challenging "Wheel of Fortune" puzzle? Click through to see the video. A new study on sleep loss may become a wake-up call to those who work overnight hours or suffer from insomnia. 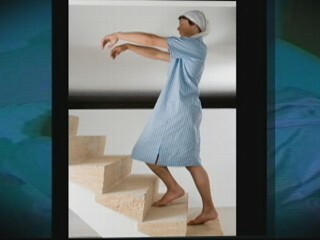 Missing sleep could cause brain damage, according to information published in the Journal of Neuroscience on Tuesday. "This is the first report that sleep loss can actually result in a loss of neurons," says Sigrid Veasey, an associate professor of Medicine at the University of Pennsylvania. Sri Lanka reportedly had warning before Easter church bombings	Sri Lanka reportedly had warning before Easter church bombings The country is one of the most often attacked by terrorists.